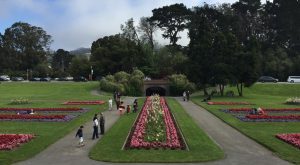 Winter time in San Francisco is pleasant on the whole compared to many parts of the nation. The amount of natural and artistic beauty is overwhelming in the city. 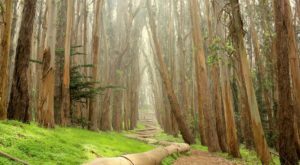 There is an installation of eucalyptus trunks and branches in the city that will more than surprise you. 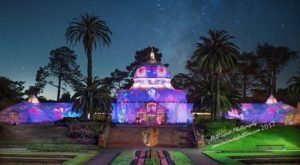 Explore the beauty and splendor in Presidio and visit this magical spot. 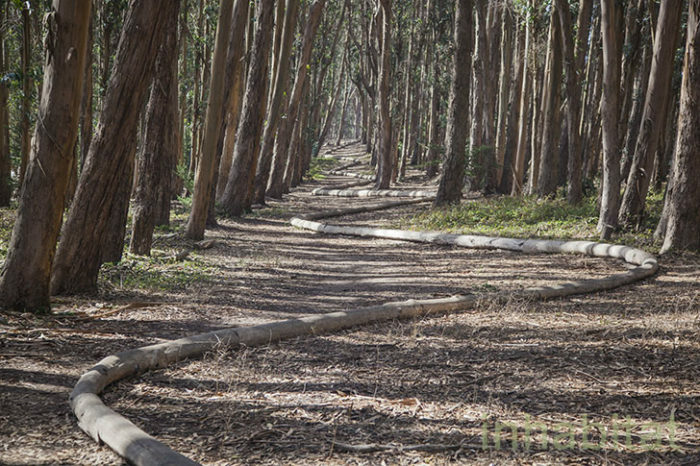 "Wood Line" of the Presidio can best be described as a sculptural installation of eucalyptus trunks and branches. This is truly one-of-a-kind and completely free to admire. 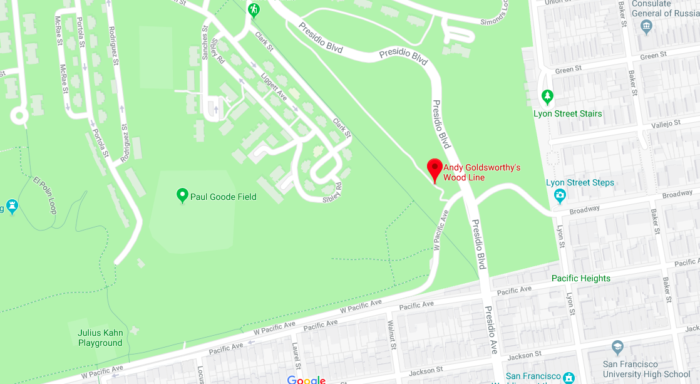 Wood Line is tucked in a corner of the Presidio near Lovers' Lane. 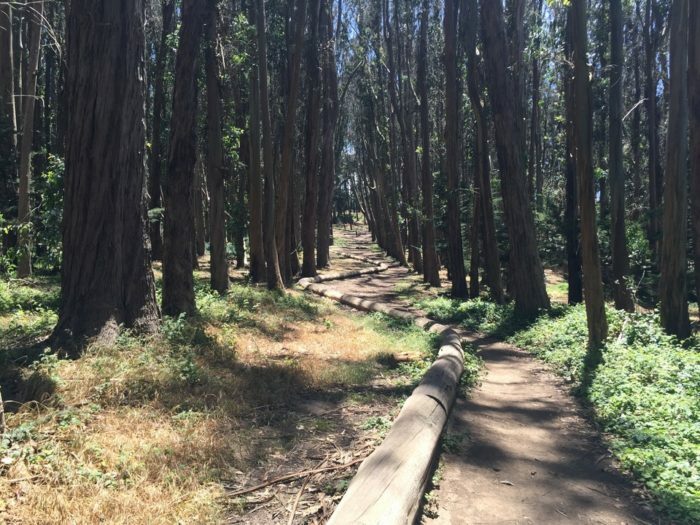 You are near Wood Line when in Pacific Heights especially the Lyon Street Steps. 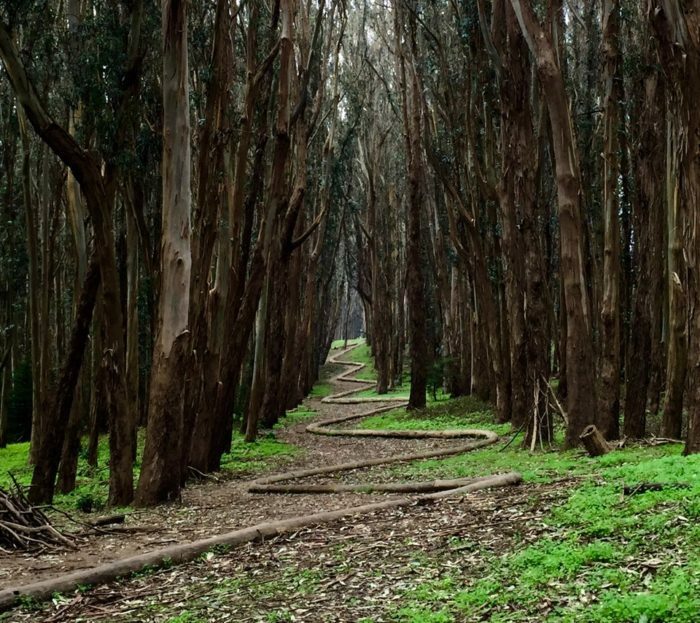 The Wood Line was created by British artist Andy Goldsworthy among the the roots of the eucalyptus trees in the Presidio. The path to walk or hike is flat and easy to navigate. 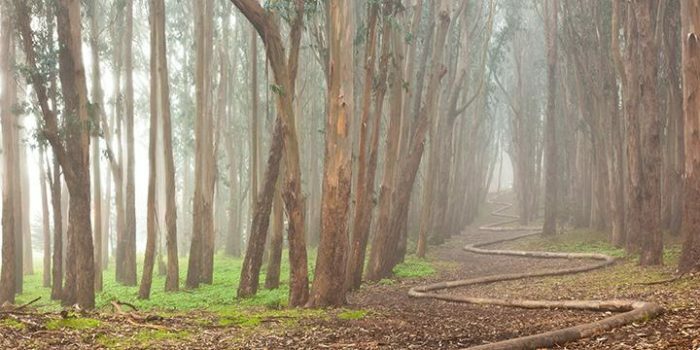 This is a a dreamy and otherwordly path through the trees. 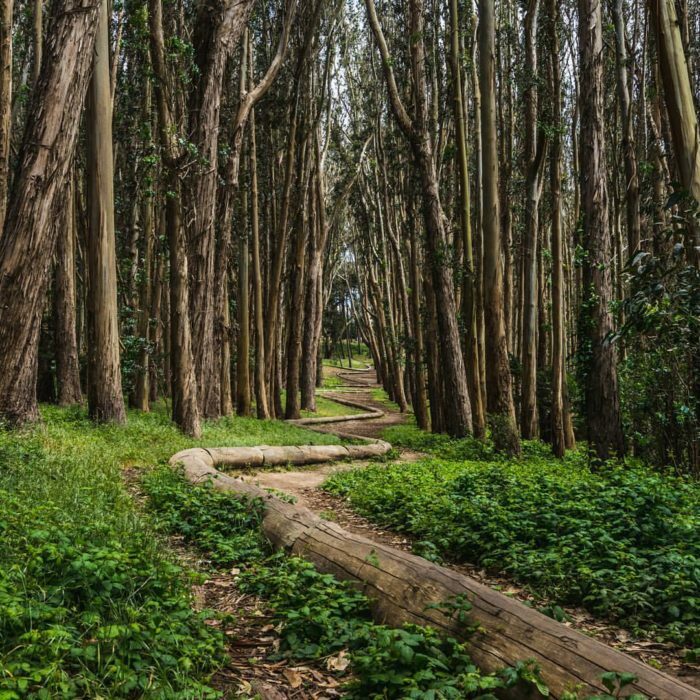 Admire the man-made eucalyptus grove. The grove was planted in the late 19th century by the U.S. Army. The wood was set upon the ground in a winding line and symbolizes the cycle of life and death in the parks. This is true public art made from nature. 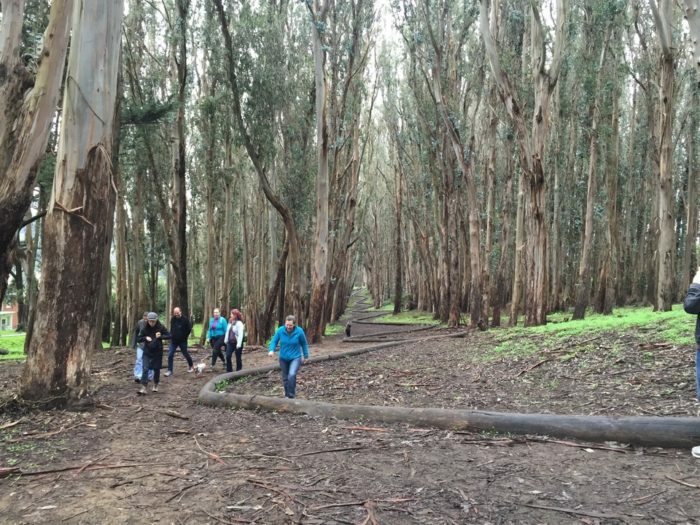 Explore and wander this dreamy and fairytale-like art walk through a man-made eucalyptus grove. Truly inspirational and relaxing. 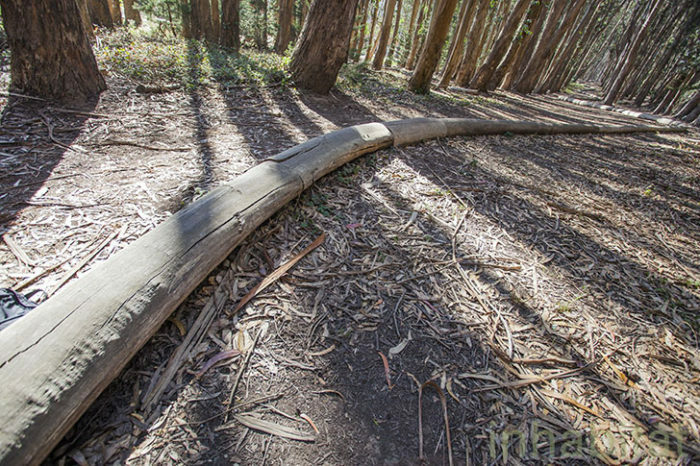 When you walk with the curves and turns of "Wood Line" the trek takes you up and down a small hill. The end and beginning of Wood Line is supposedly where art and nature begins is never quite clear. This is a wonderful spot to explore for sure that should only take an hour or two. 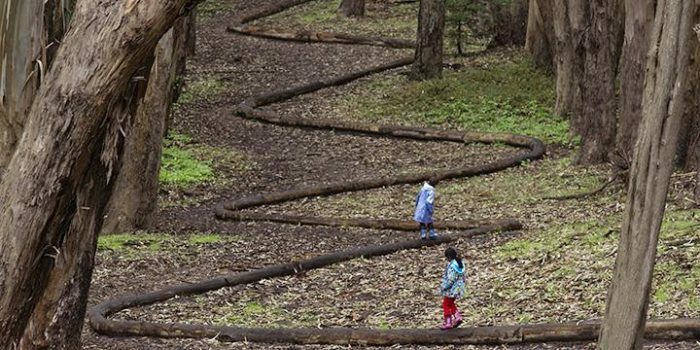 Learn more about this place and check out Andy Goldsworthy’s Wood Line for more information. Have you been to Wood Line? Let us know. Share your opinions. 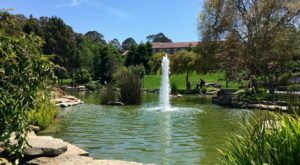 If you are curious about unique city attractions, then Visit San Francisco’s Best Aquatic Park Any Time Of Year.